“You’re going alone? !” your friends might ask with a concerned tone and a raised brow. This will probably be followed with an “Are you ok? Are you having a crisis?”. Yes, it may sound a little daunting but going solo often results in the most uplifting, eye-opening and relaxing experiences. Just imagine, picking the destination you want to go to and planning the days filled with exactly what YOU want to do. Rock climbing, trainspotting, geocaching, crocheting, whiskey tasting? Bed by 8pm? You don’t have to compromise on your solo adventure. It doesn’t have to be a gap year or sabbatical, a long weekend or short break can be enough to reset and recharge. Going solo often means a little self-discovery too – what will you pick on the menu with no fear of potential food envy? What radio station will you choose to sing along to on your journey? What to do if your tyre pops on a dark country lane with no jack or mobile signal to the AA (I’m speaking from experience)! There is often never a dull moment as you might expect. Travelling alone is on the increase too! With nearly one in six people choosing to holiday solo, the biggest drive in numbers is women - a recent Trip Advisor survey of more than 9,000 showed 74% had either travelled alone or has a solo trip planned. There’s is no better time than now to pack your bag (don’t worry you can ensure your loved ones you will be returning in a few days) and head to your chosen destination. We’ve rounded up the best solo spots where you can indulge in some serious ‘me’ time - cook your most-loved supper, listen to your favourite music and star-fish in the comfort of your own double-bed - heaven! Research your destination – Are you seeking a place to finish writing your first book, paint your next masterpiece or get a PB on your cross country run with a change of scenery? 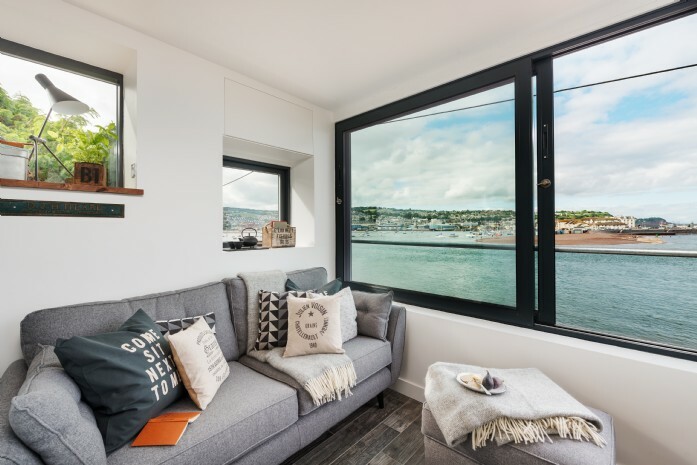 We have beautiful homes dotted all over the UK and will be able to help you find the perfect place to achieve what you need to. Eat Out – Do not be afraid to book a table for one, all of our homes come with a unique property guide filled with owner recommended places to dine and discover. You may also meet a fellow solo traveller and make a friend for life, who knows! Pack a Book – Not only will you actually have time to read and maybe even finish it but your favourite hard back also acts as a great companion if you feel a little exposed sitting in the local pub waiting for your moules frites. Take a camera – A great way to capture memories and share stories when you're home with family and friends – or make them envious over Instagram whilst you’re away. Celebrate – You have made the decision to holiday independently, enjoy it! You have total freedom with what to do with your time which is a rare luxury to most. Embrace the solo travel trend and thank us later when you feel rested, rejuvenated and ready to take on all of life’s little challenges. For those in need of some vitamin sea, a private surf lesson or miles of Cornish coast paths. 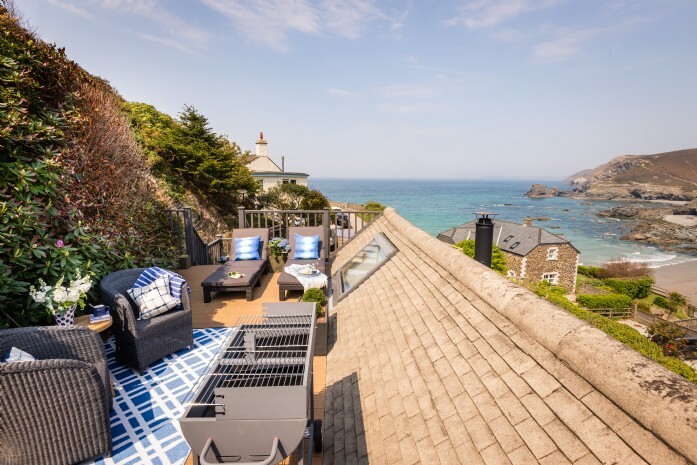 The Ink is located in the quaint village of St Agnes, there are a handful of pubs with live music and friendly locals. 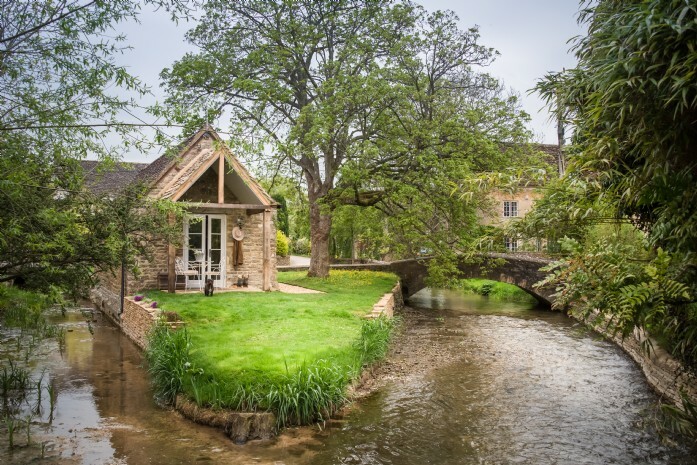 Escape to your very own island in the Cotswolds, light the wood burner and finally get around to finishing that last chapter or song verse. Have homemade cakes delivered to the door for that afternoon pick-me-up. History and tech-fans will delight in all Sea Sentry has to offer in Shaldon, Devon. Wake to the sound of the lapping shoreline next to the former WW2 bunker and spend the evening watching the passing fishing boats. Want a luxury spa experience without leaving the house? 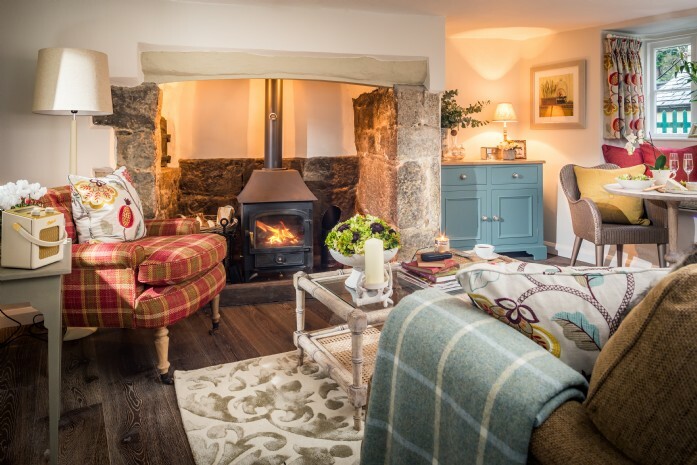 Sojourn in Dartmoor will fulfill all your pampering dreams with a decedent spa room and a trained therapist who will come to the property. 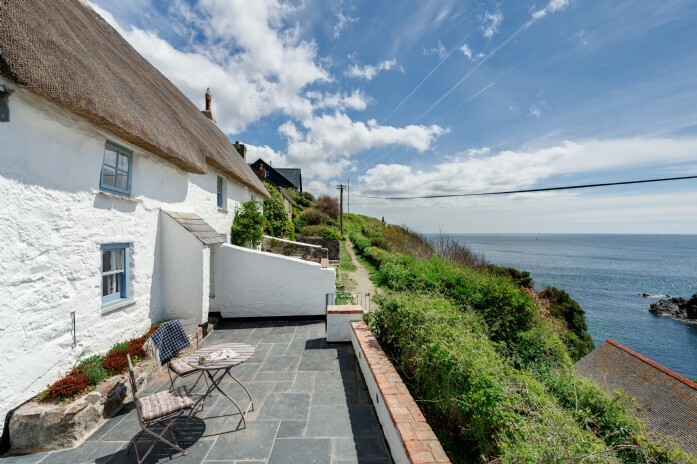 A coastal thatched cottage in Cadgwith Cove, Cornwall. Perfect for the girl blogger in need of the most instagrammable location!